Asure ID Solo is a perfect entry-level card personalization software that is simple to learn and is loaded with useful features to improve the issuance and management of entry level photo IDs. Featuring a highly intuitive user interface that utilizes a familiar Microsoft® Ribbon look-and-feel, for minimal user training. 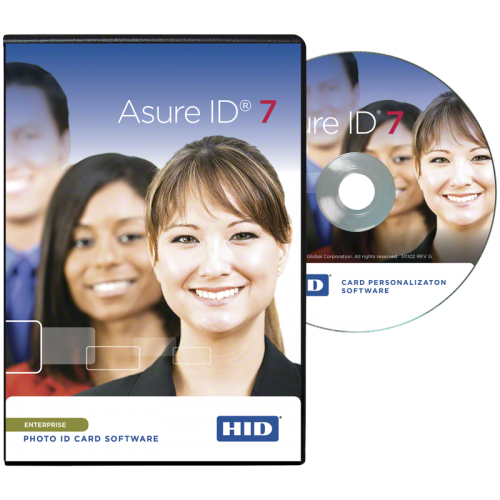 It is the ideal choice for organizations looking for an affordable and even easier-to-use stand alone photo ID card software with advanced card design and batch printing capabilities. 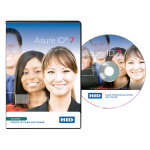 Additionally, Asure ID 7 is built on the Microsoft .NET technology platform for greater stability and interoperability. Its powerful integration, enrollment and encoding modules ensure a quick and seamless gateway to other existing database sources, whether installed on a PC or a Windows® 8 Pro Tablet. The iDIRECTOR® encoding and management module improves smart card development and deployment by enabling you to personalize the card graphically and electronically in one seamless process. The Asure ID 7 user interface offers much more than good looks. It allows multiple workstations to share a common database over a network; whether Asure ID is installed on a PC or a Windows 8 Pro Tablet. 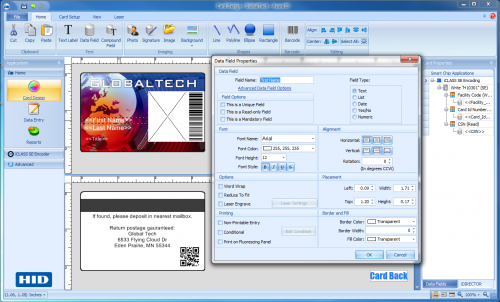 The advanced, yet intuitive, card design processes provide a dramatic speed boost for designing card templates and entering cardholder data.